Touring behind the release of their record, "Ionia," Michigan-to-Nashville transplant Lindsay Lou and her band have been featured in the lineup of prestigious affairs such as the Shetland Island Folk Festival and Celtic Connections in Scotland, the Stagecoach Music Festival in California, boasting around 55,000 attendees, the Bluegrass Jamboree in Germany, the Telluride Bluegrass Festival in Colorado, Merlefest in North Carolina, Wheatland, and the Pagosa Springs Folk Festival in Colorado, among many others. 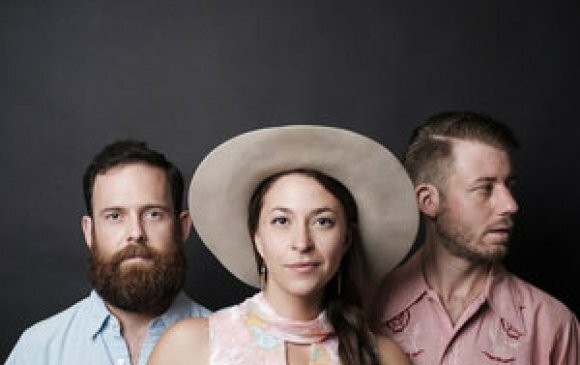 They were named one of NPR Music’s 12 best live performance sessions of 2015 by Mountain Stage. Her singing floats over the instrumental mastery and deep groove of her band with dynamics that range from a lullaby to a battle cry. In the words of David Grier, “Lindsay ... sings the way you would want to if you could. Phrasing, tone, emotion, it's all there. Effortless seemingly. Simply mesmerizing. Riveting! Don't miss the musical force that is Lindsay Lou.” Lindsay's brand new full-length "Southland" is a collection of songs delivered with soulfully fierce intensity and tender intimacy that demands your attention.The Sweet Water Warblers—the trio of Lindsay Lou, May Erlewine, and Rachael Davis—are very special guests.